This old German heirloom boasts many clusters of 6 to 12 cherry tomato all summer long. It's indeterminate, crack resistant and very prolific. Proven tops for performance, flavor and wide adaptability. Tomato, Gardener's Delight is rated 3.7 out of 5 by 9. Rated 5 out of 5 by PamH from Amazing production, great flavor, a FAVORITE! 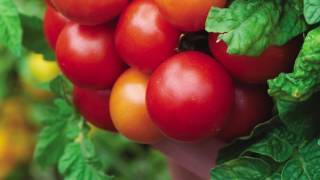 We grow over 40 varieties of tomatoes. This tomato is our favorite of them all! Large prolific plants that just keep giving. when no one else in our area had tomatoes we had gardeners delights lots and lots of these wonderful Sweet tomatoes. They're slightly larger size makes picking so much more enjoyable than the tiny little sweet 100s. Rated 1 out of 5 by Lizmom from Low production. Very late. Fruit too big. Big plant-little fruit. Very, very low production. Very late days-to-maturity. I just dug out a 2-month old Gardeners Delight and replaced it with a Sun Sugar, which produces about 10-15 times as much fruit that tastes so very much better. Even planted 2 months too late, I think the Sun Sugar will produce more fruit by the end of summer than that awful GD would have done. GD is also too big for a cherry. Pretty worthless cultivar compared with the Suns and 100s. No reason to ever waste space on it again. Rated 5 out of 5 by Jjgardener from This is a favorite of mine This is a favorite of mine! I have grown this by seed and I also have bought the plants from Burpee. They produce well all summer long and the tomatoes are not too acidic for me. I love the size and the flavor for salads! Rated 5 out of 5 by Wayrad from Delicious, prolific My wife and I have planted Gardners delight for many years now. It is hands down or favorite cherry tomato. This tomato never makes it into the house. Lol. We grow it because of its incredible sweetness. It says it will grow to 80 inches in my experience it will grow quite a bit bigger than that. I pinch the suckers and prune my tomatoes heavily while they grow and this is a very prolific grower. Of course there are always factors when you grow tomatoes, amount of sunlight, cold temperatures, inconsistent and consistent watering, fertilizing, soil amendment. We have always had great luck with this tomato. And seeds from Burpee are almost always 100% germination rate. In fact, i just pulled out our seed bin (always stored in a cool dry place) and planted Gardeners Delight from 2 years ago and they're all up. I do encourage growers to try this little wonder. Good luck. Rated 5 out of 5 by mtnview680 from Better than your avg. cherry tomato the tomatoes are larger than your typical cherry tomato, and have a bit more meat to them. the plants are not as wild as cherry tomato plants either. A good pick for high yield. I will use these as opposed to cherry tom. next year. 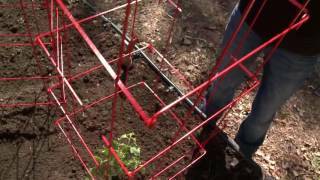 Rated 5 out of 5 by grammyB from GRAFTED Great BIG Cherry HUGE for a cherry tomato from a GRAFTED plant. Grew this for the first time. Flavorful. Great size. Grafted plants overcome typical leaf spot diseases. Rated 1 out of 5 by NorthGeorgiaDave from Horrible Texture - Negative Five Star I have three plants which started producing red tomatoes in late May. They are loaded with dozens of beautiful looking ping-pong ball sized fruit. I've decided today to end my suffering and pull up all three plants. These tomatoes have a mushy dry texture that no one can get past even though they have some taste. It's this mush feel upon biting instead of the firm fleshy juicy pop of a good cherry tomato, that gives this variety a big thumbs down. I have six other varieties of heirlooms growing in the same beds, so the fault is not that of the water, weather (it's been great), or the soil. Rated 1 out of 5 by zookeeper from Worst ever! Maybe I just got a bad batch, but I grew a number of these plants and all of them tasted bad! It didn't matter how long I left them on the vine, they still never developed any good flavor. I grew a number of varieties and all of the others were great (especially the Black Krim and Black Cherries), but these did not perform well at all!